If you have a big opening or space either inside or outside your house, and you have pets, you may want to block them from passing through this opening. In this case, it helps to know the best dog gate for a large or wide opening. Do gates allow you to pass through freely, but keep pets out. 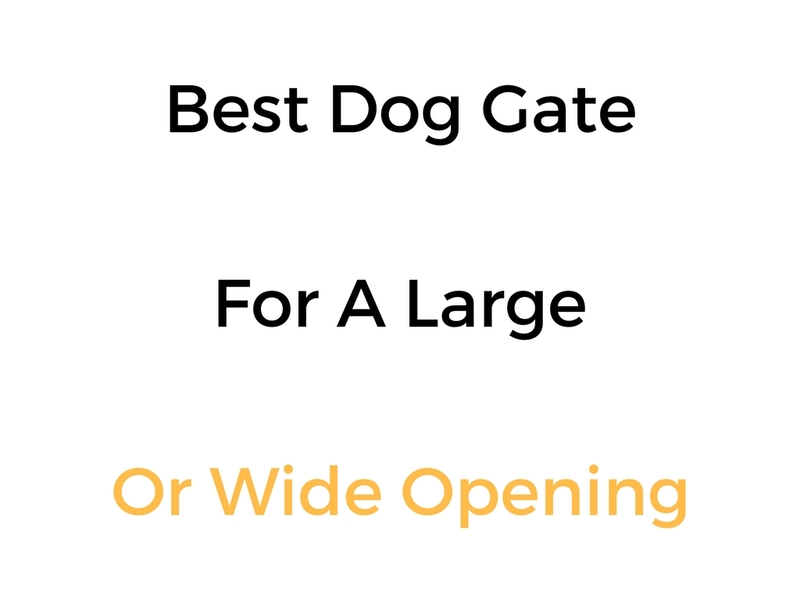 Let’s take a look at some of the best wide and extra wide dog gate options! Summer Infant Decorative Wood & Metal 5 Foot Wide Gate (on Amazon) – 32 inches tall and can fit spaces between 36 to 60 inches wide. Evenflo Soft and Wide Gate (on Amazon) – 27 inches tall and fits open spaces between 38-60 inches wide. Internet’s Best Freestanding Pet Gate with Arched Top (on Amazon) – freestanding dog gate. 36 inches tall, and fits spaces up to 74 inches wide. North States Supergate Deluxe Dècor Gate (on Amazon) – 30 inches high and fits openings 38.3 to 72 inches wide. Or, up to 13 feet (156 inches) with additional extensions. You can read the full Regalo Easy Open 50 Inch Wide Baby Gate Review here. You can read the full Summer Infant Decorative Wood & Metal 5 Foot Wide Gate Review here. You can read the full Dreambaby Chelsea Extra Tall & Wide Gate Review here. You can read the full Regalo 192-Inch Super Wide Adjustable Gate and Play Yard, 4-In-1 Review here. You can read the full Summer Infant Multi-Use Deco Extra Tall Walk Through Gate Review here. You can read the Regalo Home Accents Extra Tall Walk Through Gate Review here. What Size Dog Gate Should You Get?